Each year, people all over the world festively decorate evergreen trees with ornaments for Christmas. Many believe that this tradition began with Martin Luther in Germany in the 1600’s, but decorating trees in the wintertime was actually a pagan tradition before being associated with Christmas. Today, the tradition has grown, and ornaments are just as much a part of the Christmas season as the trees themselves. In fact, people from all over the world decorate their trees a little differently. Here are some of the common ways people in other countries decorate their Christmas trees. Christians are a minority in China, which means that the percentage of the population that would like to decorate a Christmas tree needs to improvise. They use whatever is widely available, which means that many people make their own ornaments. Trees are primarily decorated using traditional paper crafts, such as paper lanterns, fresh flowers, and homemade garlands. In Germany, Christmas decorating traditions are regional. In Bavaria, people tie straws into festive shapes using beautiful threads to decorate the trees. Most trees have Christmas lights, and some people even use live candles. 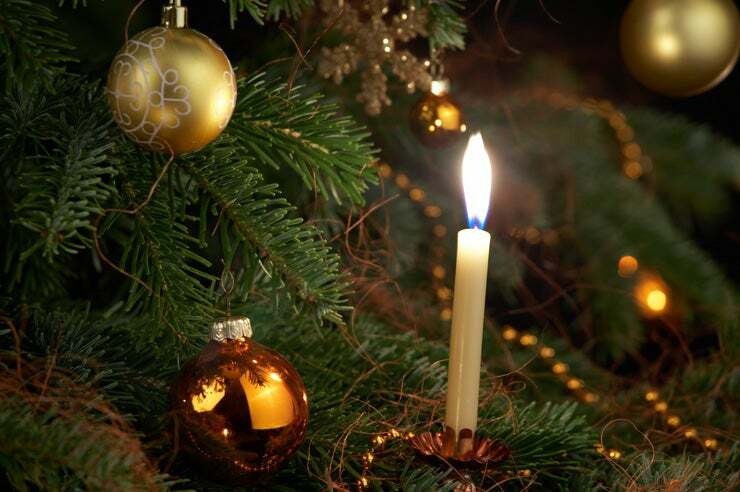 It is said that Martin Luther decorated the first Christmas tree with candles to represent the stars in the heavens. Although most of us in the United States associate Christmas with the winter, in the southern hemisphere, December is a summer month! As a result, many people in Australia prefer to decorate their tree with a summer theme and use natural elements, such as seashells, to make up the majority of their decorations. In addition to all the typical Christmas decorations, people in the Ukraine always include spiders and spider webs in their tree-decorating scheme. Although spiders aren’t always a welcome presence in the home, they are a token of good luck in the Ukraine. By decorating the tree with spiders, the people in the household hope it will bring them luck and good fortune in the coming year. Although the tree has been a symbol of Christmas since the 1600’s, it still isn’t fully adopted in Greece. Those who do put up a tree use fairly standard decorations, such as strings of Christmas lights and homemade ornaments. Many Greeks stick with their original tradition of elaborately decorating ships and boats for Christmas. Christians in Africa don’t decorate evergreen trees for Christmas. Since this holiday falls in the summer months, Christians in African countries such as Uganda decorate the palm trees and mango trees both in and outside their home with items from nature. Those who do decorate the Christmas tree in Italy use fairly typical decorations such as strings of Christmas lights and beautiful, handcrafted ornaments. This is especially true in the parts of Italy that directly border Germany. However, in much of the country, greater importance is placed on decorating the house with the traditional nativity scene. Studying how people in other countries decorate for Christmas can give you ideas when you decorate your own tree! Only thing left is do is buy the Christmas Gifts to put under the tree! Or send your friends overseas one of these fabulous gift baskets!